As has always been in the modern world, Mechanical Engineering continues to remain central to many activities that lead to the creation of industrial and business wealth. Two main applications are energy conservation and conversion, and transportation. A mechanical engineering course provides the core knowledge for a range of careers in these areas. Mechanical Engineering is rightly recognized as the mother of engineering. The benefit of this fundamental role is that the subject provides a wide choice of career oppurtunities in industries as diverse as food, pharmaceuticals, energy, petro – chemical industries, and environmental protection and conservation. 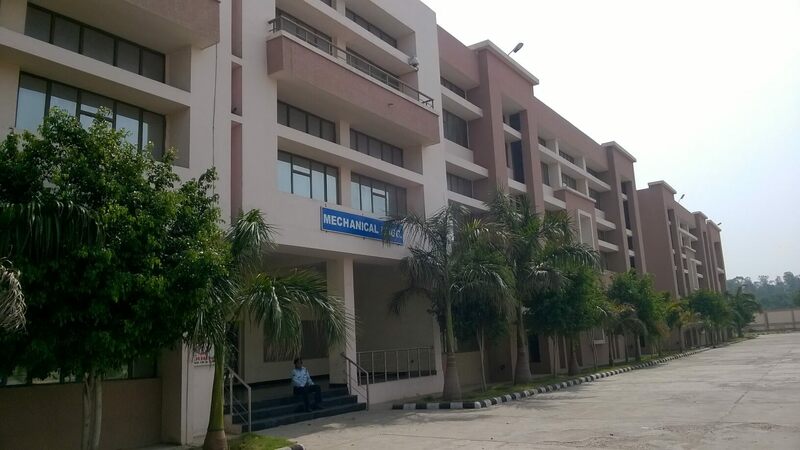 The B.Tech courses in Mechanical Engineering are broad based and integral with emphasis on fundamental concepts to enable the students to become confident engineers capable of solving wide range of problems encountered by them in the field. The courses are planned to train the students both in theory and practical work in the following areas of Mechanical Engg. : Machine Design, Stress Analysis. Theory of Machines, Measurements and Automatic Control, Thermodynamics, Thermal Machines, Power Plant Engineering, Manufacturing Processes, Production Engineering, Industrial Engineering. The students are given normal workshop training to familiarize them with the working of machine tools found in industry. They are also given project problems covering design, fabrication, testing, manufacturing aspects thus giving them opportunities to develop their capabilities to solve practical problems through the use of computers.